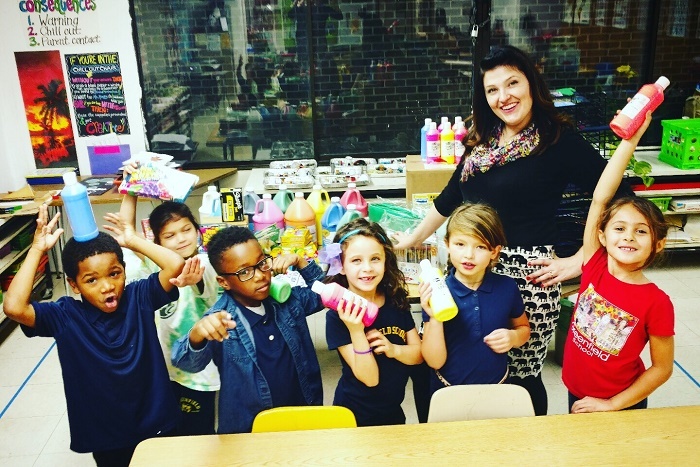 In the Greenfield art room, your son or daughter is learning to think like an artist. 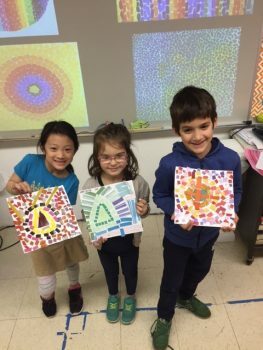 Ms. Mowery, Greenfield’s K-8 art teacher, is passionate about teaching students what a wonderful addition the arts can be to their lives. 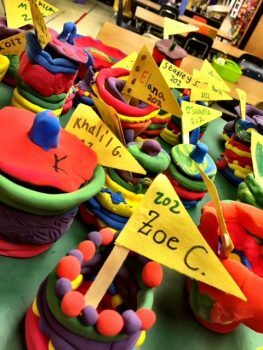 It is important to her that each students leaves her classroom thinking of themselves as creative problem solvers. OBSERVING: Art is everywhere! We will learn how to observe our surroundings, looking closely for details. 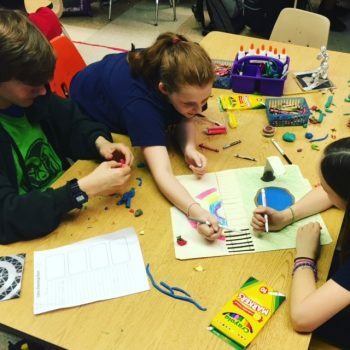 Students will compare and contrast famous works of art and attempt to incorporate aspects of their own life into art room projects. 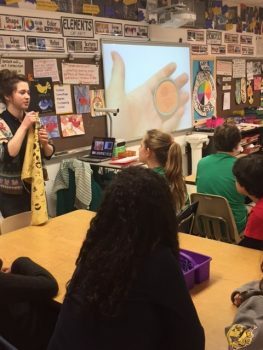 PRACTICING: Students will have an opportunity to use a variety of materials in art class. We will use formal art elements and principles to guide our practice. PROBLEM SOLVING: We will work in groups and as individuals to problem solve. Self-sufficiency and independent thinking is encouraged in each project. 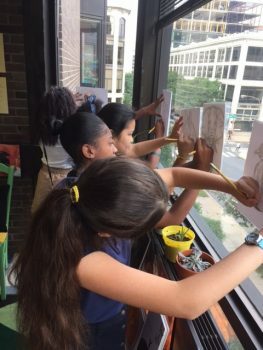 MAKING CONNECTIONS: We will be creating art to connect with other cultures, art history, and ourselves. REFLECTING: Self-reflection is something that artists of all ages use to streamline and improve their art. 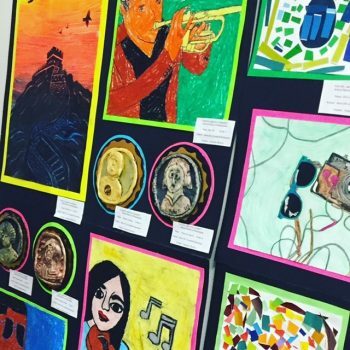 Students will be encouraged to share their reactions to many classic and modern works of art. Art class will become and environment where students feel comfortable offering and receiving constructive criticism. Greenfield offers music class for K-2 and 4-5 grades. 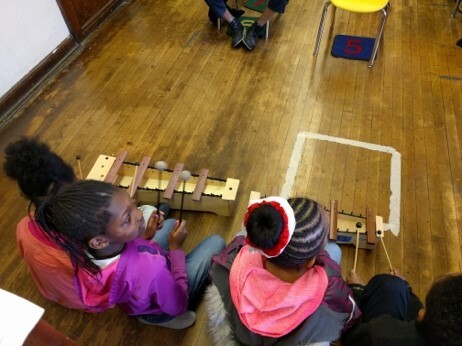 The start to music includes setting a foundation of basic musicianship skills. 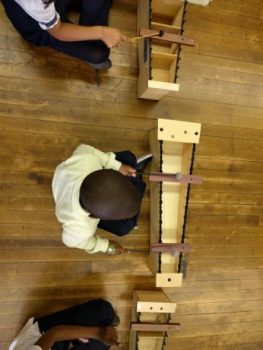 Our teacher, Ms. Weiland, teaches using the Orff philosophy, which is most often summed up with the phrase “Sing, Say, Dance and Play.” Voices are our first instruments, and our students learn to use them to express themselves through beautiful singing. Our voices can, of course, also be used in other expressive ways to enhance our music making. Students use movement (or dance) in the classroom as another way to experience and express themselves through music, as it is a great way to get music in their bodies! Students also get to learn ensemble skills by playing on instruments. Fourth and fifth grades will delve into playing an instrument – fourth grade will start recorder and fifth grade will begin guitar. Greenfield is starting two choirs – one for grades 3 and 4, and another for the middle school. They are non-auditioned, but students must get a behavior recommendation from their homeroom teacher. Choir meets at lunchtime. 3rd and 4th meet Monday through Wednesday while the middle school choir meets Monday and Friday. Students will perform at the winter and spring concerts. The middle school choir also has the exciting opportunity to perform at the Wells Fargo Center in the spring as part of a 10,000 voice choir. Choir is optional and not graded – just a chance for any student who loves to sing to join together with others and make music! Greenfield has a thriving Instrumental Music program, with many students participating in the Band program from grades 4-8. Students are offered an instrument ( woodwind, brass or percussion) and will take a “once a week, 45 minute group lesson” as a beginner, primarily in 4th & 5th grade. They continue with more advanced studies in 6th-8th grade, with some exceptions. The program operates every Thursday afternoon, 12:45 – 3:00 p.m. and all day on Friday. The band performs a Winter and Spring Concert utilizing the full band, drum line and/or a small chamber group. Many students progress in their studies and have been recipients of the Temple University Community Music Scholarship, receiving private lessons, ensembles and music theory classes. This commitment extends their performance opportunities immensely. Our advanced instrumentalist have also gained membership into the prestigious “All Philadelphia Middle School Concert Band”, an ensemble of over 130 students comprised of the best middle school musicians throughout the entire Philadelphia area, another extended performance opportunity. Many of our students go on to some of the most notable high schools in the area, with a strong foundation to build upon as they strive to achieve their goals and dreams. As a instrumental music educator, my goal is for the students involved in the band program to develop a strong sense of hard work, dedication, confidence, commitment, ownership, musical skills and knowledge while building a community of friendship, trust and fun. HOW TO JOIN THE BAND PROGRAM! When school begins in September, Mrs. Kay-Clark will begin accepting parental letters giving approval for your child to ” tryout” an instrument. The letter should include the students name, room number and the instrument that they would like to try. You can put the letter in my box in the office. 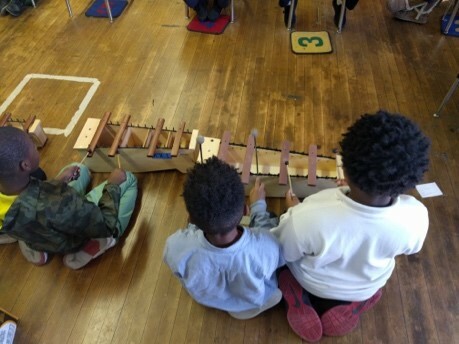 The student should have some idea of what instrument sparks their interest. With their new classroom teacher’s approval as well, students will begin the process. Remember good grades, attendance and behavior must be in place to add this extended curriculum to your child’s life. October is ” TRY OUT ” time and, in the order that the letters are received, students will be invited to come down and try it out.